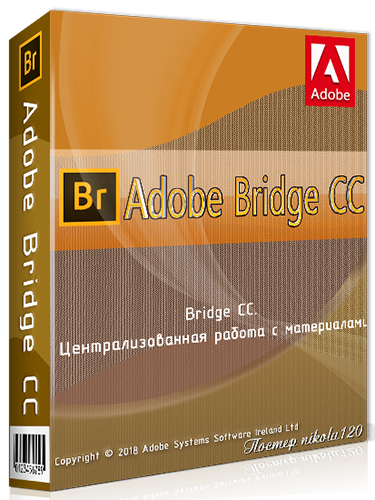 Adobe Bridge CC 2019 is an organizational program designed to link parts of Creative Cloud together using an interface similar to the file manager that was available in earlier versions of Adobe Photoshop. It is available from virtually all other Creative Cloud applications. Adobe Bridge CC 2018 simplifies your work and helps maintain order. Adobe Bridge CC 2019 provides you with centralized access to all multimedia resources required for creative projects. You can easily edit components in batch mode, edit digital images in RAW format, work with XMP and IPTC formats, add watermarks, rate images, centrally set color options and even work with different versions of a file.